"A must read for everyone who is concerned about the future availability of food." "If the seeds disappear, so could your food. So could you." Bent Skovmand (1945-2007) came from a small town in Denmark. The son of a minister, he worked as a farmhand for neighbors and dreamed of traveling to foreign lands. Eventually he received an $860 scholarship from the Tuborg Brewery and came to the University of Minnesota where he earned his PhD in plant science. 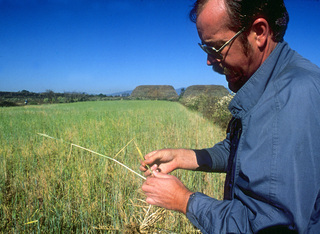 He went on to become one the of the world's most eminent wheat breeders and seed bankers. Before his untimely death in 2007, he was among a handful of scientists who created the Svalbard Global Seed Vault, a.k.a. 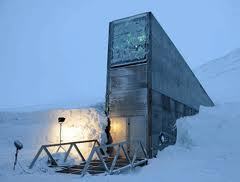 the "Doomsday Vault," on Norway's Arctic border. Here all the world's seeds are stored to ensure that agriculture will be able to withstand any calamity. Weaving Skovmand's story with the expanding universe of plant genetics and biotechnology, Susan Dworkin makes the drama of our food security human, exciting and accessible to readers who know little about farming. "...a poignant reminder that the real guardians of our food security are not armies or transnational corporations, but a handful of tireless scientists who have labored for decades to keep us one step ahead of famine." "Dworkin leads us expertly and enthusiastically into Bent Skovmand's infrequently penetrated domain of plant breeding and international seed banks..."
"I highly recommend it as essential core reading for students of international development, agricultural policy, plants sciences, agronomy and horticulture..indeed any course that relates to global food production and security." PROF. CALVIN O. QUALSET | University of California, Davis. This film will show you just how hard we must work to preserve "the bounty of the earth." Susan Dworkin at an ancient soddy in Norway. Nobel Peace Prize winner Norman Borlaug, Bent Skovmand, Princess Benedikte of Denmark when she knighted Skovmand in 2003.